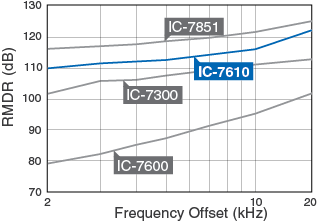 Whether listening to both sides of DX station running split, or looking for a multiplier on a different band or mode, the dual receivers in the IC-7610 have you covered. 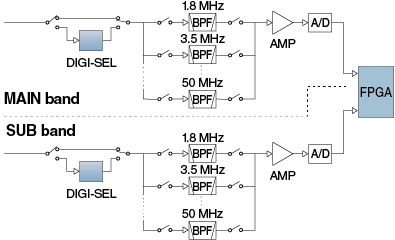 Two separate DIGI-SEL preselectors, two separate Band Pass Filter networks, feed two separate A/D converters into the FPGA. The large 7” color TFT touch LCD offers intuitive operation of functions, settings, and various operational visual aids such as dual spectrum scope aligned vertically or horizontally, simulated analog meters and RTTY, PSK31/63 mode decoded messages. 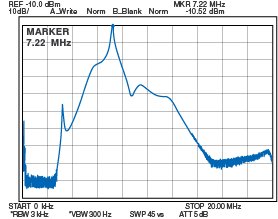 *1 Guaranteed range: 0.500–29.999, 50.000–54.000 MHz. 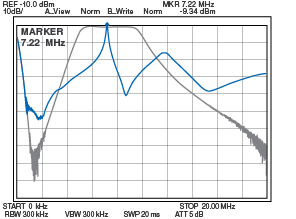 AM: 1–25 W Digital P.S.N.